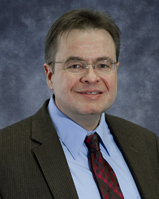 Dr. Armstrong also serves as the project director for the Center for Health Workforce Studies’ New York Health Workforce Data System (NYHWDS). The NYHWDS is designed to support ongoing monitoring of the state’s health workforce. With support from a number of key stakeholders, the system uses both primary and secondary data sources to present critical information on the supply of and demand for health workers in New York. The primary goal of the system is to provide policy makers, planners, and other interested parties with up-to-date information about the state’s health workforce to inform decision making that supports a healthier New York. As project director of the NYHWDS, he oversees staff who manage health workforce re-registration survey databases and a medical resident exit survey, which monitor the supply and distribution of the health workforce in New York. In collaboration with professional health organizations in the state, he also administers provider recruitment and retention surveys to monitor health workforce demand.